HomeCharacterMost smiles are started by another smile. Yet again I would like to share a thought about the power of smiling with you! Have you ever thought about what makes you smile? I often smile just sitting in front of the computer as a thought comes to my mind, and I just have to smile. 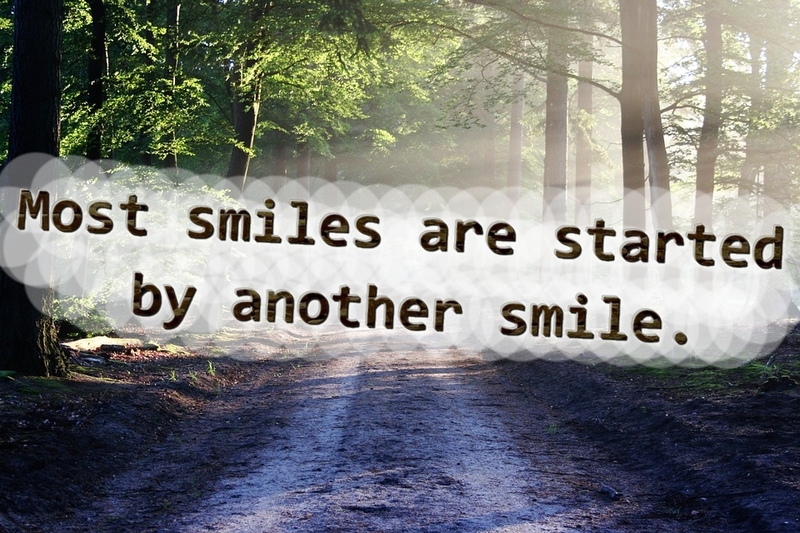 But, must often we start smiling because someone smiles at us! Imagine walking down the street when some person looks at you with a giant smile. What do you do? You might turn suspicious and almost angry (if you have a bad day) wondering why this person keeps ruining your day with this giant smile on his face? But, in most cases, you will automatically smile back at him. That smile forced you to smile. So, why don’t you become a person that will constantly force other people to smile back at you! Do you know people who complain all the time? They are for sure not the people who give away smiles all the time. Often people speak about and complain about their doctors, their teachers, their colleagues… but, why don’t you change and start smiling. When you enter the doctor’s office, enter with a smile! Instead of entering with a grumpy face expecting the worst, prepare for the best and maybe you will actually cheer the doctor up and make their day better! You will often get back what you give, so share those smiles, and you will for sure get more smiles in return! It’s not all about money! Siggi on Amazon.de – Now also in English and Dutch! Dobrila Rector on Amazon.de – Now also in English and Dutch! Muhumuza abdu on Amazon.de – Now also in English and Dutch! Debbie on Can I upgrade from bronze to silver or gold after signing up with Organo Gold?